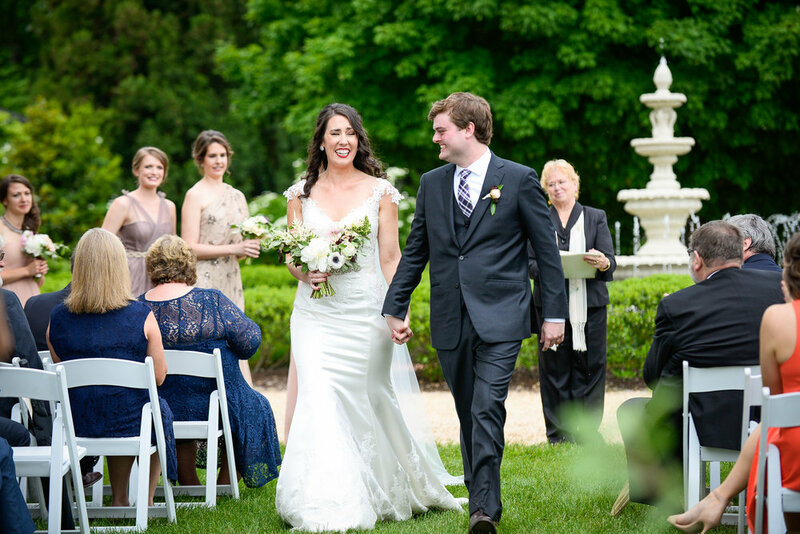 Alison and Justin hold a special place in the hearts of the Schornberg’s. Not only are they one of our beloved Keswick Vineyards couples, but Alison also teaches at their daughter’s dance school! I knew Charlottesville was a small town, but it’s always a treat to witness that first hand. That being said, Alison herself was also a dancer since the age of three. Dancing has always be an important part of her life. I don’t know about you, but when I think of dancing I think of a show. Dancing to me is bringing to life something visually. To me, Alison and Justin did just that on their wedding day. They put on a show! 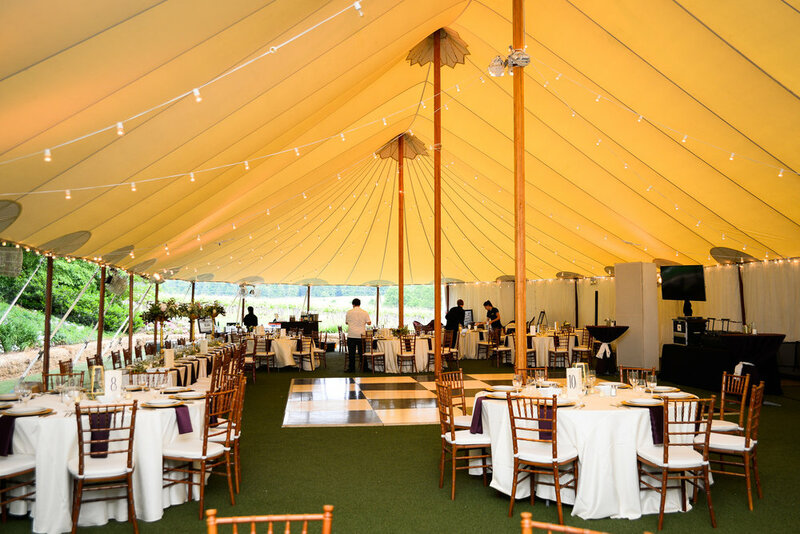 They turned the tent into a 1920’s vintage dream. To start, they swapped out the dance floor. Of course! They switched our wooden dance floor to a black and white tile. They knew that would really bring their guests front and center. 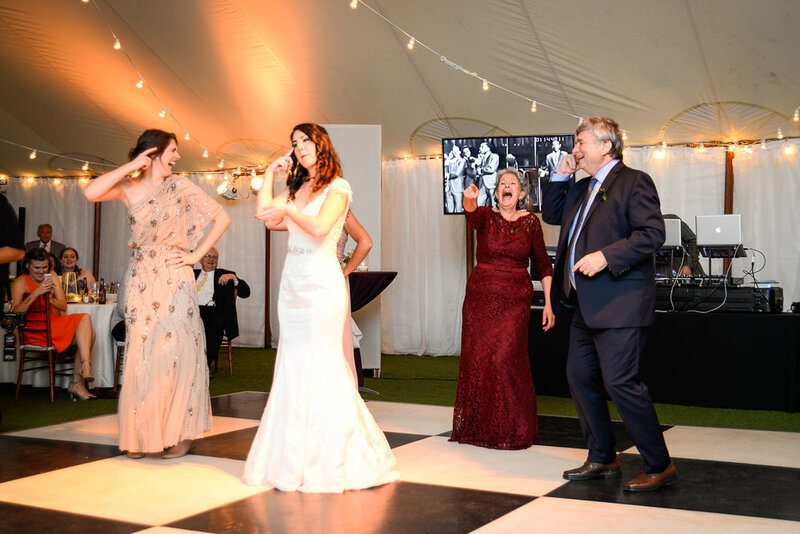 Alison and her family kick started the fun by starting the party off with a dance they used to do when she was a little girl. It was a huge hit and tugged at those heart strings while they all took a walk down memory lane. After that…it was a party! 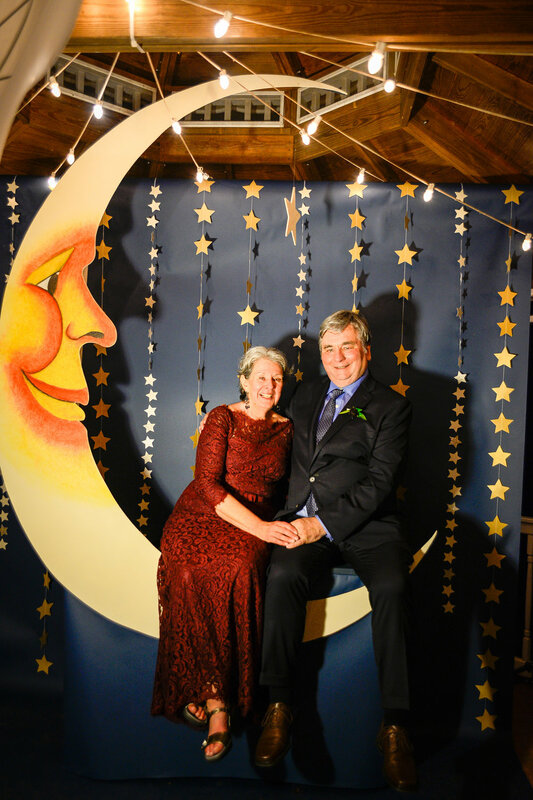 To add to the fun, Alison and Justin had a local artist create a handmade paper moon which they then used as their photo booth. Guests “sat on the moon” and snapped photos of themselves for the couple to remember and look back on all the days of their lives. Catering and Dessert, Pumpernickel Pickle. Wedding Planner, Events by Simplicity. Photographer, Joy Gaba Photo. 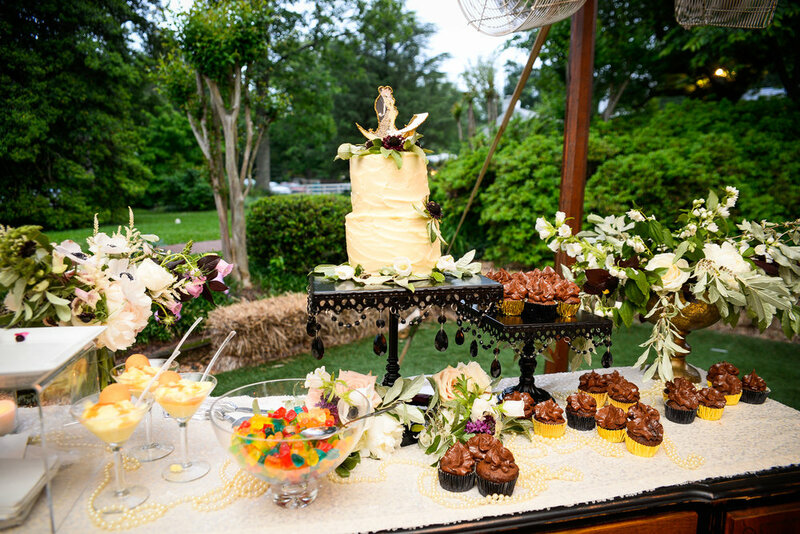 Rentals, MS Events and BBJ Linen. Florist, Whimsical Floral Design. DJ, Derek Tobler. Hair & Makeup, Emily Artistry. Musicians, Hanna Pocock and Philip St. Ours. Transportation, UVA UTS Charter Services. Officiant, Rev. Bhavani Metro.